Brown Bettys, Buckles, Cobblers, Crisps, Crumbles, Grunts, Pandowdys, Slumps….. 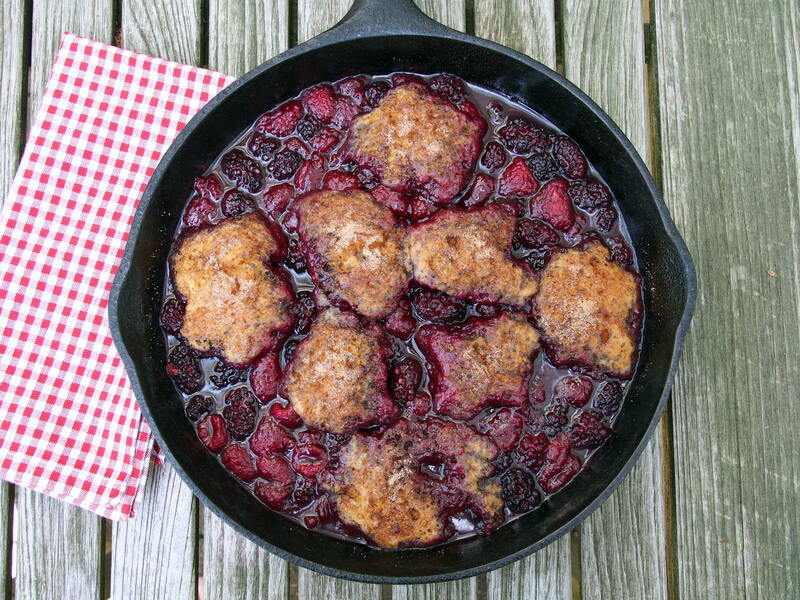 Some have described a slump as a lazy person’s cobbler. 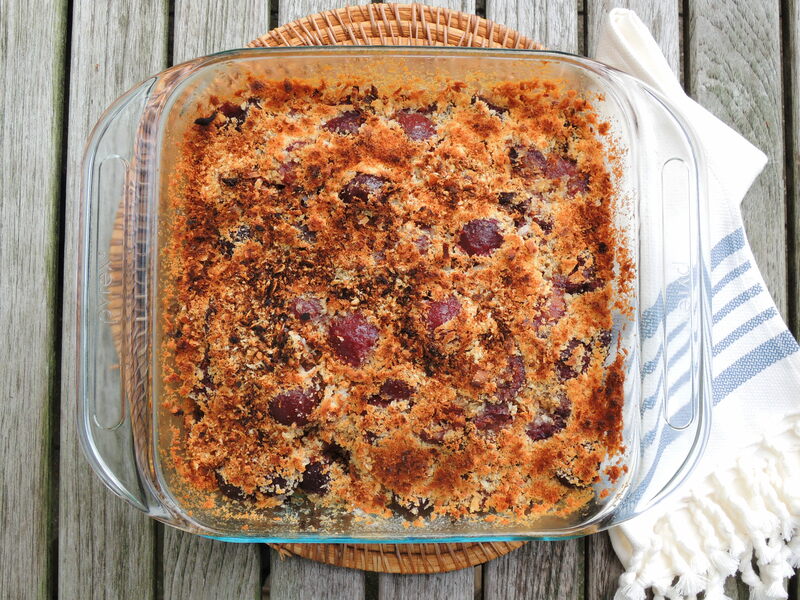 Others have described a cobbler as a lazy person’s pie. In any event, these are not the elaborate confections that emerge from the kitchens of top pastry chefs. Many of them, in fact, are American creations that date from colonial times, when immigrants, longing for tastes they remembered from home, were forced to improvise using available ingredients and equipment. 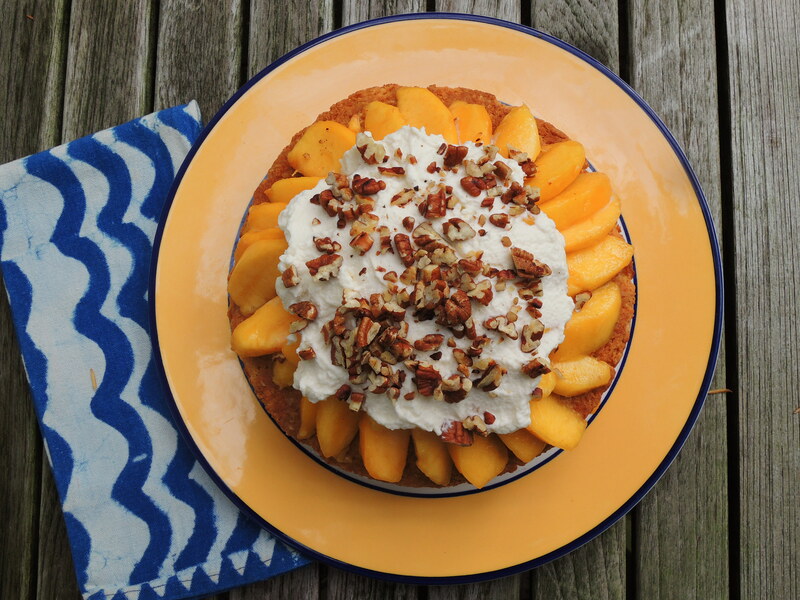 Often variations of pies and puddings, these simple desserts rely on whatever fresh fruits are in season. (Amanda Hesser, author of The Essential New York Times Cookbook, thinks “of them all as a Hail Mary for dying fruit.”) And they focus more on taste than elegant presentation. They were served for breakfast or as a central part of the meal; it was not until the late 19th century that they became desserts. 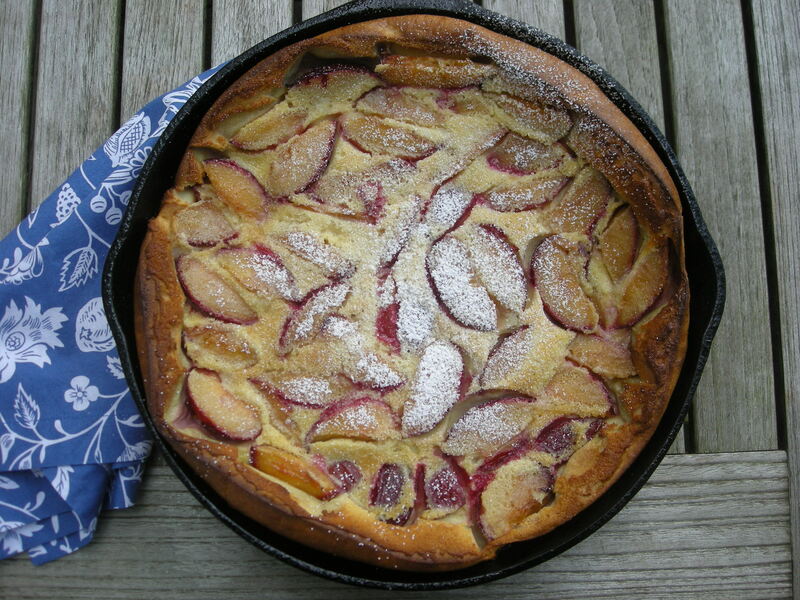 Buckles begin with a simple cake batter into which fruit, often blueberries, is folded. The batter is then covered with a generous layer of streusel (which, in German, is something scattered or sprinkled, here a topping of butter, flour, spices and sugar, sometimes with chopped nuts added), so thick that the cake buckles under its weight as it bakes, giving it a crumpled appearance. 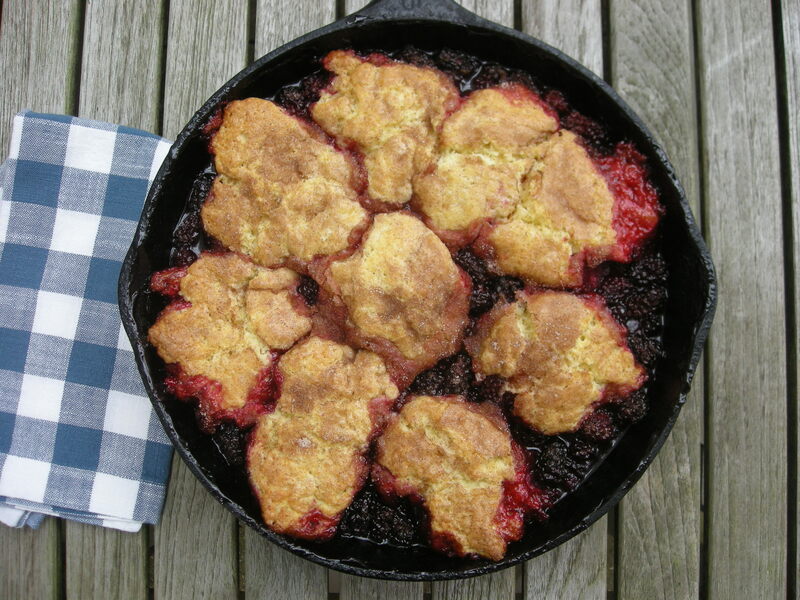 A cobbler is a deep dish pie in which a fruit filling is topped with a thick, usually biscuit, crust and baked. The crust may be cut into rounds (‘cobbles’), and dropped onto the surface of the fruit, or left intact. 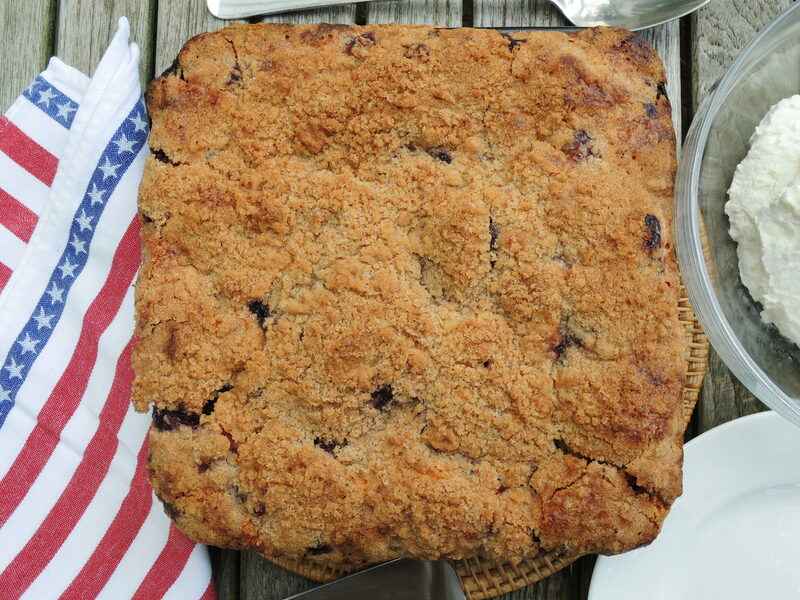 In the American South cobblers often sandwich the fruit filling between a top and a bottom pie dough crust, or sometimes the biscuit crust is replaced by batter. 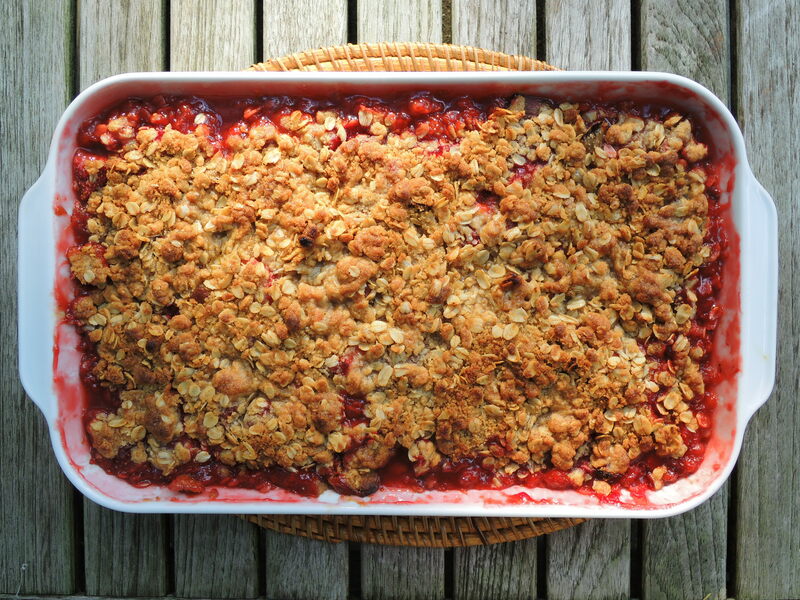 Crisps and crumbles are baked; a bottom layer of fruit is sprinkled with a streusel or crumb topping made from butter, sugar, flour and, often, oatmeal or nuts that is rubbed together or pulsed in a food processor. In America these desserts are most often called crisps, while in Britain crumble is the common name. Grunts and slumps are both steamed cakes or dumpling-like puddings that resulted from colonists’ efforts to adapt the English steamed pudding to the primitive cooking equipment available in New England. (Lacking brick ovens, colonists prepared the dish in pots hanging over a fire.) Using fresh local fruit and cooked on top of the stove, the grunt, as it was called in parts of New England, is said to have gotten its name from the sound the fruit made as it stewed. Or perhaps from the sound diners made while eating it? 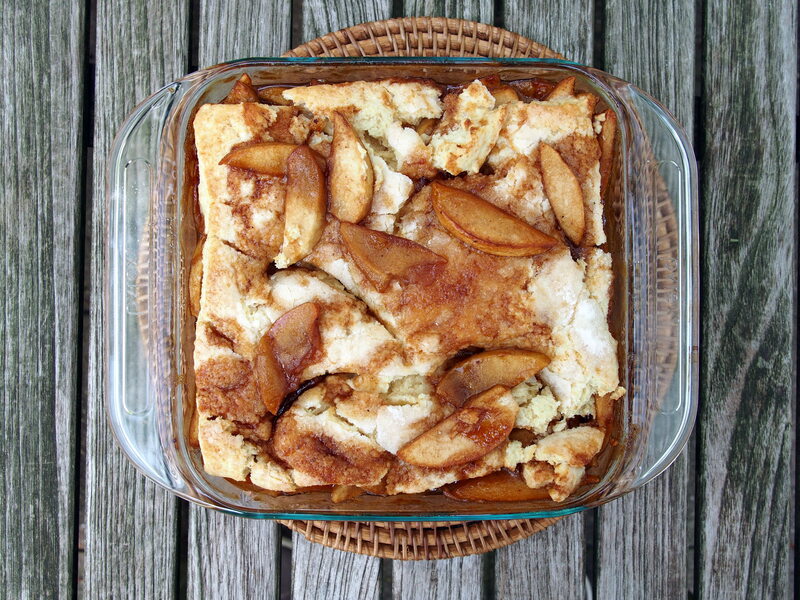 In other parts of the region the dessert was called a slump because, according to Alan Davidson in The Oxford Companion to Food, “the preparation has no recognizable form and slumps on the plate.” Slumps later were immortalized by Louisa May Alcott, author of Little Women, when she named her home in Concord, Massachusetts Apple Slump and published a recipe for the dish. 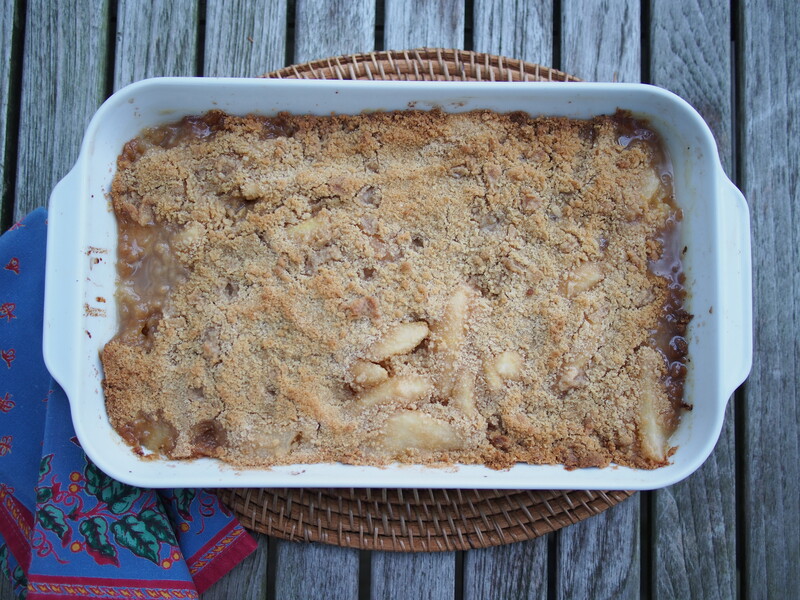 A pandowdy always has fruit (typically apples sweetened with molasses or brown sugar) baked beneath a crumbly biscuit crust. What distinguishes it from other preparations is that the crust is broken up and pushed down into the fruit during baking. 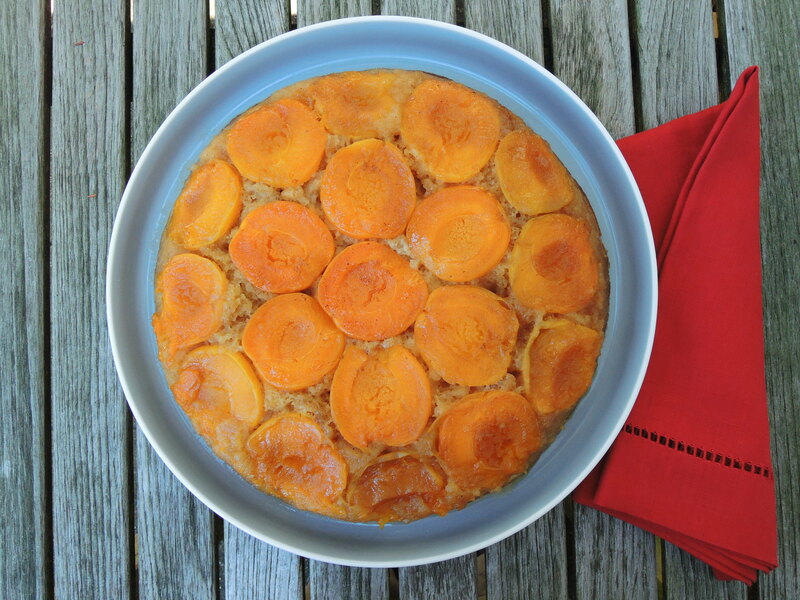 Some recipes place the crust on the bottom of the pan, top it with fruit, and invert the pan before serving. The name of the dish supposedly reflects its homely appearance.